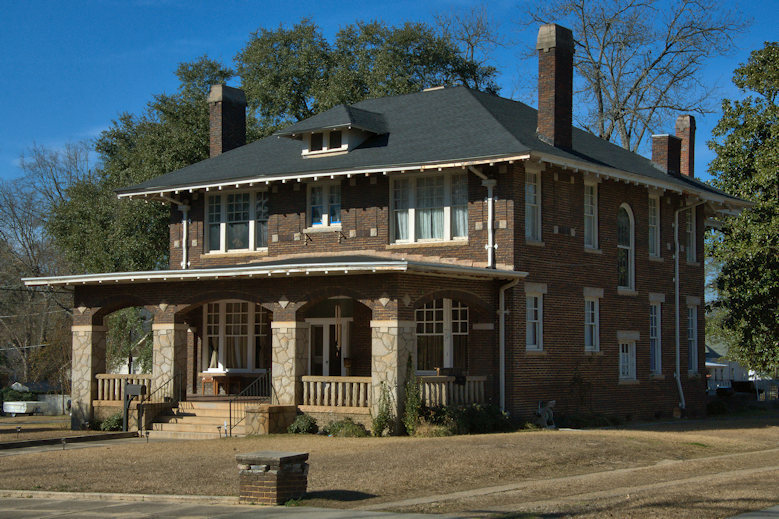 The origins of this important landmark of African-American educational history in South Georgia can be traced to Dr. Augustus S. Clark and the St. Paul Presbyterian Church. The first facilities of the school were three wood-framed buildings, built through a gift of the Gillespie family of Pittsburg, Pennsylvania, in 1903, and named the Gillespie Normal School in their honor. The first two structures pictured here were built when it was still known as the Gillespie Normal School. In 1933, the school merged with the Selden Institute in Brunswick and the name was changed to the Gillespie-Selden Institute. Over the years, students came from as far away as New York and New Jersey. The Institute closed in 1956 due to citywide consolidation. 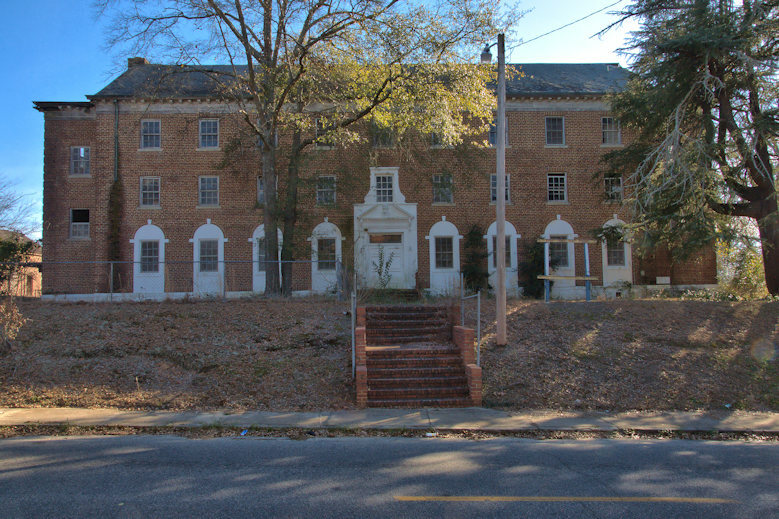 A hospital was built in 1923 and named for its benefactor, Charles Helms. It was a vital part of the institute. (It is still standing but not pictured here; I will add a photograph later). 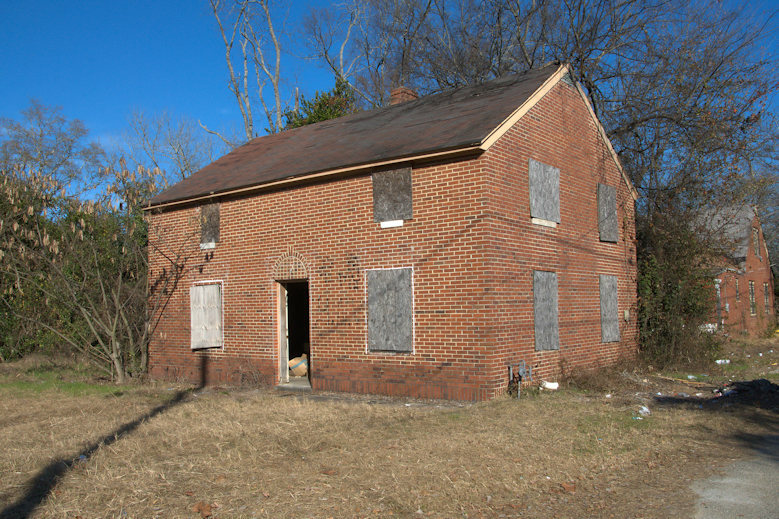 At the time, the nearest hospital for blacks was in Atlanta. Selden Cottage, pictured below, was a school for nurses, associated with the hospital. 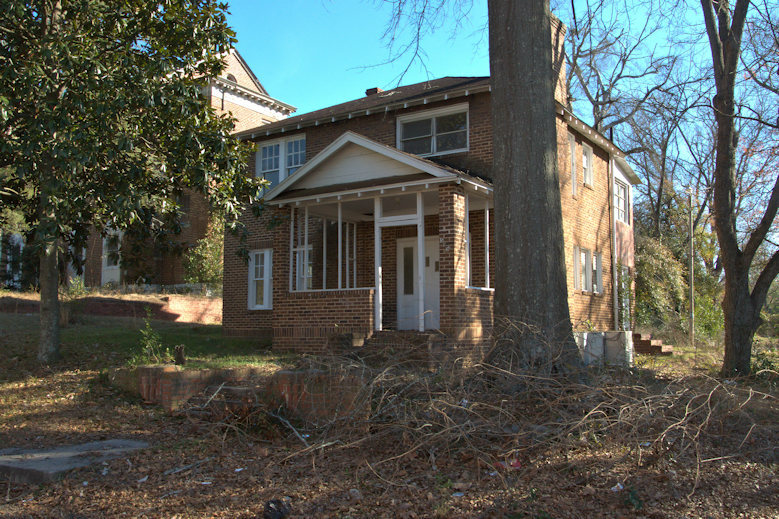 This neighborhood, and particularly the remaining facilities of the Institute, represent a significant resource of a progressive African-American community in the late 19th and early 20th centuries. Preliminary efforts to document and preserve the site have been made, but I’m unsure as to their present status. St. Paul Presbyterian is one of four historic churches in the Gillespie-Selden Historic District and the congregation most associated with the institute. Dr. Augustus S. Clark (1874-1959), the founder of the school, came to Cordele as a Presbyterian missionary in 1898. 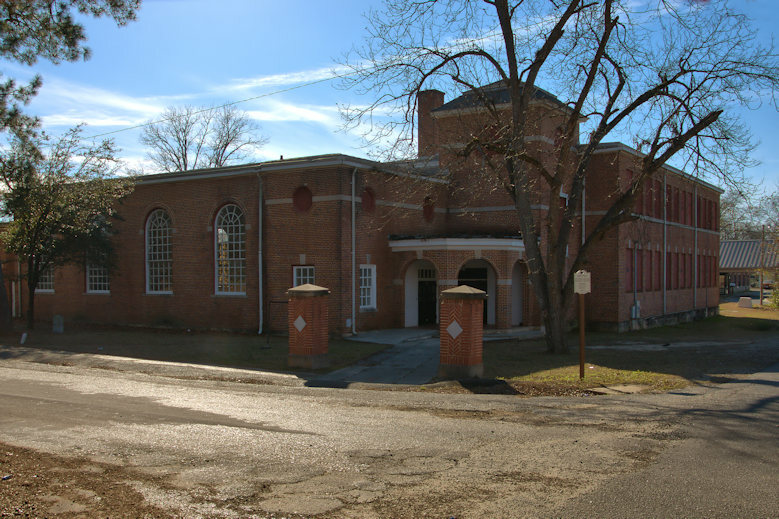 His first charge was to aid the struggling Portis Memorial Presbyterian Church and as a result of his work funding was secured for the construction of the present church, which was named St. Paul. It was in the basement of this church (which has since been expanded) that Dr. Clark first began teaching elementary school classes along with Sunday School. Dr. Clark was alarmed by the inadequate educational facilities for African-American students and made an appeal to the General Assembly of the Presbyterian Church for funding for a school and through the donation of Presbyterians in Northern states, funds were soon secured. 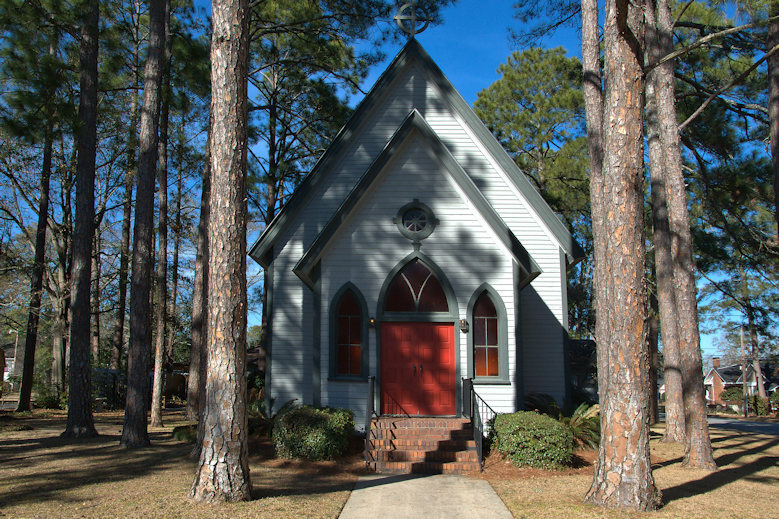 According to the South Georgia Conference of the United Methodist Church: Cordele First United Methodist was organized in 1887, in the Cordele Academy, where services were held until the first building was completed in 1891. It is the oldest church in the city. 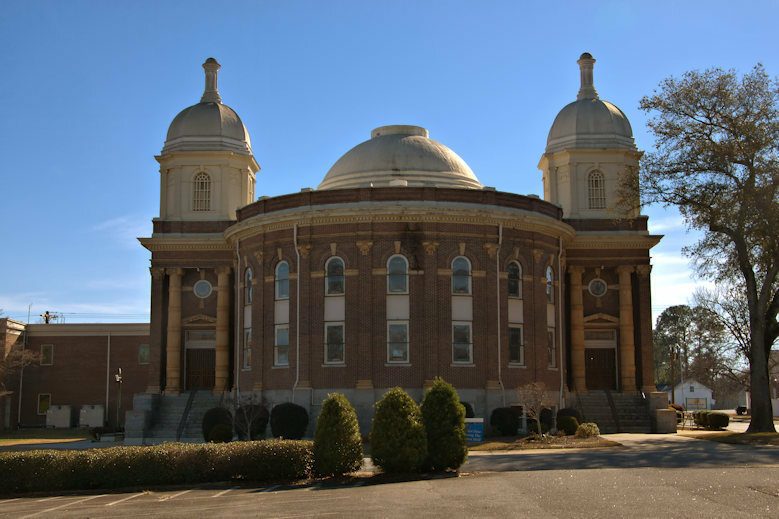 The first service was held on the third Sunday in January, 1887, with 75 people attending and Rev. John Wesley Conners officiating. 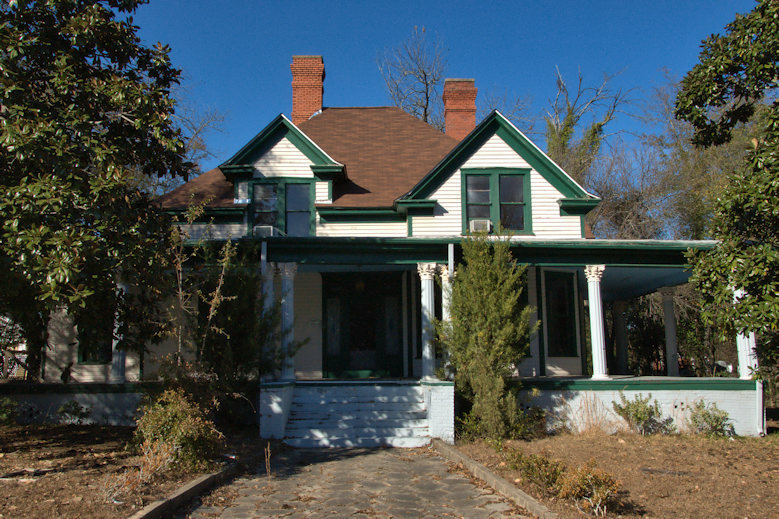 The simple, white building was large enough to host the 1891 session of the South Georgia Conference. The present building was erected in 1914. 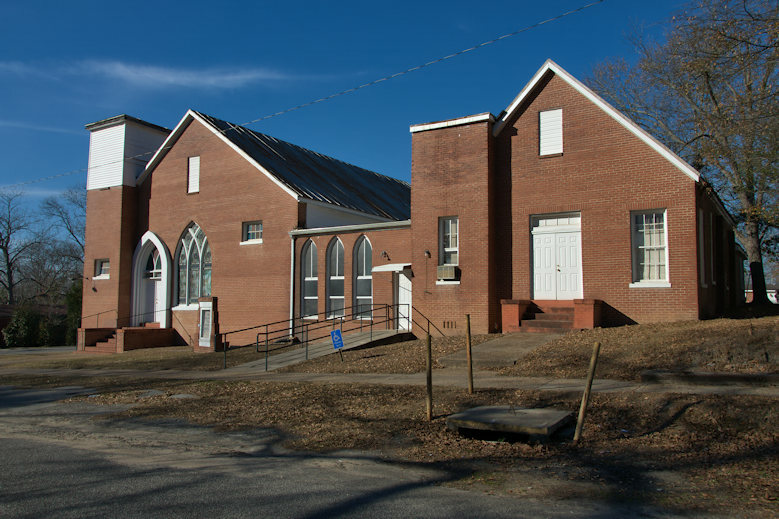 It is one of the most architecturally unique Methodist churches in the state. This was built for Orien Thomas Gower, Sr. (1879-1960), who served as judge of the Crisp Judicial Circuit for over sixteen years. 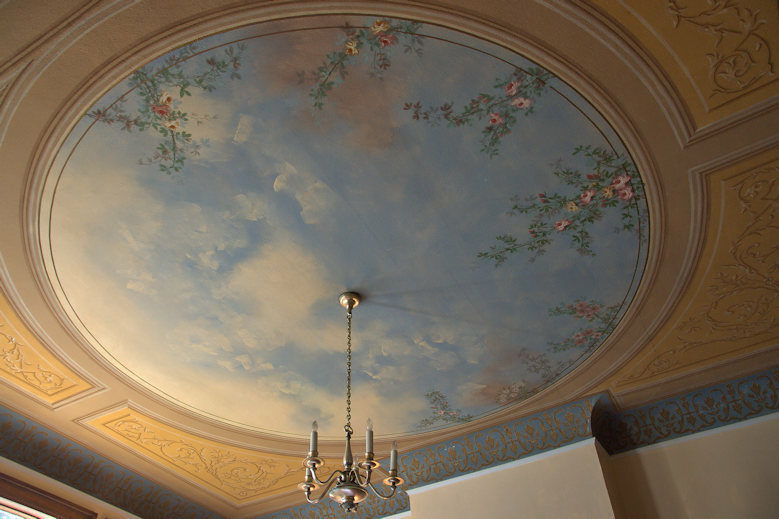 I’m grateful to Cindie Craig for allowing me to photograph the wonderful trompe l’oeil ceiling in the dining room. 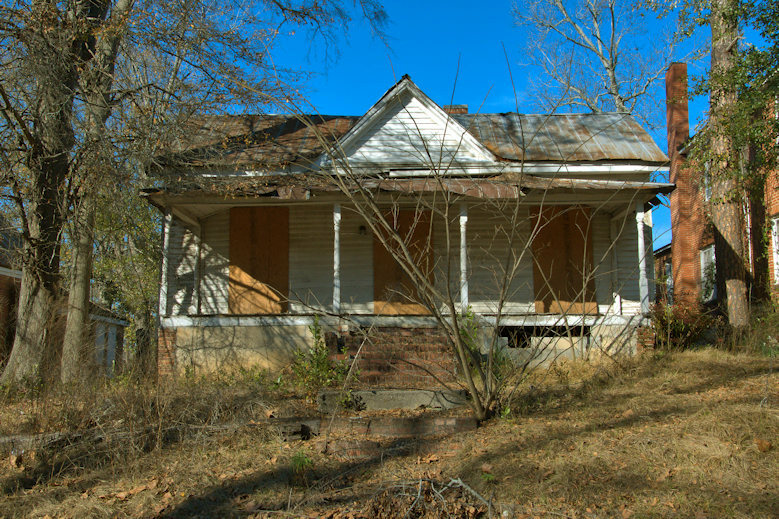 Cindie and her husband Marvin are in the process of restoring the house. 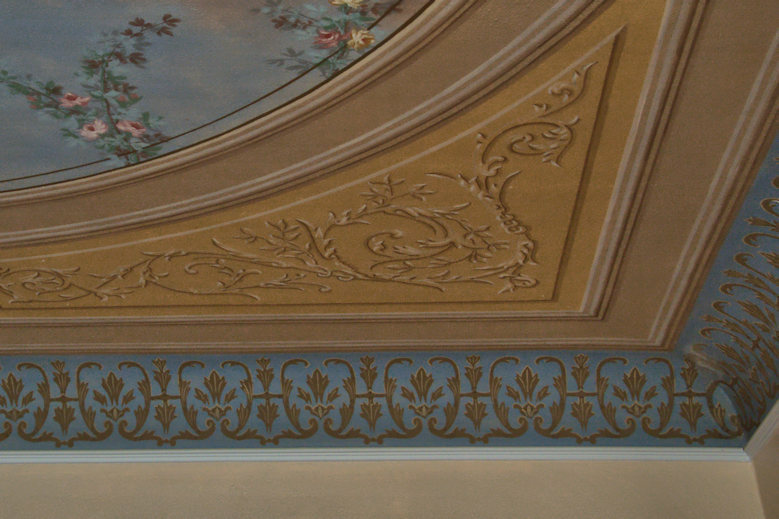 The trompe l’oeil is painted on plaster and though it needs some slight cleaning and a cosmetic touch-up, it’s in amazing condition for its age.